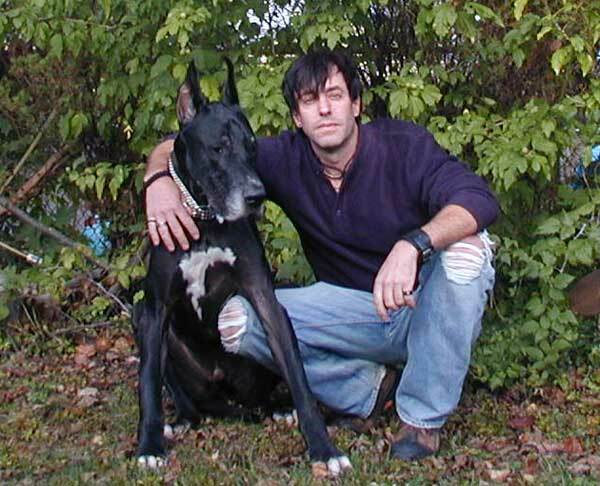 Hi there, my name is Jeff and I am Founder, Author and Editor of all-about-Great-Danes.com, nice to meet you:) Back in 2005 I launched this website for my love of Great Danes and to pay-forward information about Great Danes. Our Website Mission.. "To celebrate Great Danes and pay forward years of practical, first hand experience with hundreds of articles, photos & stories" has continued now for over a decade. We love our Great Danes and hope your visit leaves you truly knowing these magnificent companions. Just like many of you, I had brought home my first Great Dane puppy. Right away I realized this breed was unlike any other, many dog related issues such as diet, training and health were a no brain-er to me. But there was something different, something amazing about this magnificent breed. For about a year, I took a hiatus from the normal day to day routine and focused on my family and raising our new Great Dane puppy. As a lifelong dog lover, my knowledge of dog care was A+, but there was more about Danes I wanted to learn. As the first year with my new Dane passed, I met and became friends with some wonderful Dane people. Folks like breeders, owners, show families, and of course, continued to research and watch my boy grow like a weed! To no surprise, taking a year away from business had consequences and when it was "back to reality", my electrical business of 12 years had slowed substantially. So I began to search for a way to give it a "kick start" and at this time a website seemed to make perfect sense. Yes I know, you must be wondering how a website concept on electrical ended up being about Great Danes.. I'll admit that was NOT the plan! To be 100% honest, my on-line venture began as a way to promote my electrical business and after spinning my wheels trying to write about the subject, I gave up. I'll give myself credit for effort but after about a week in, I just couldn't write anymore. Ever hear that saying, "a shoemakers children never have shoes"? Exactly and enough said! Sulking one evening, pondering the money I just wasted on web hosting and time spent for nothing, it hit me like a ton of bricks! "Build on your passion"
And that's what I did.. Seriously, I'm an electrician and tradesman with a passion for Great Danes and a web expert by no means. Would you believe back in 2004 I knew absolutely nothing about getting a page on the internet? Never mind an entire site! So here we are 10 years later, can you believe it? We receive nearly 5000-visitors a day and growing every month! I'm so lucky in that I get to talk about Great Danes with people all over the world. Our discussion forum, in it's heyday, grew to 5,000 members and there are almost 100,000 posts on informative Great Dane topics. Reading visitor feedback is wonderful and truly makes this all worth while. It's so gratifying to know that I have helped others understand the breed we love. Content for this website has always been easy.. I'd just reflect back on some of the major concerns I had as a new Dane owner, or my searches for info that led to websites asking 40-bucks for a Dane e-book! Better yet, simply write an article based on one of the hundreds of Dane related questions we receive each month. 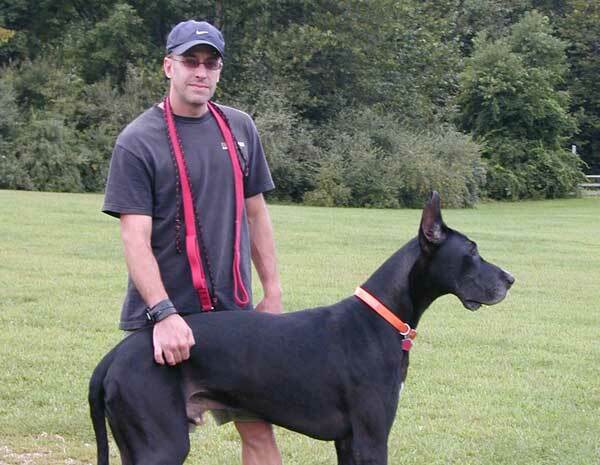 Oh yeah, and let's not forget the utter lack of Great Dane sized products and accessories. That little problem led to design, manufacturing and sale of our own exclusive Dane worthy accessories. Awesome gear such as our Alpenhitze Polartec coats, 3M In-Sight Retroreflective Collars and Adjustable Elevated Feeding Towers. It's not just me any more. Our crew is now responsible for publishing numerous dog websites plus manufacturing and distribution of our exclusive proprietary products all as a subsidiary of the jZ Canine company and brand name. Suddenly the skies the limit and my tiny little Dane site is growing in more ways than ever imagined. And while we've grown by leaps and bounds, rest assured we adhere to the same principals and beliefs that inspired this website. 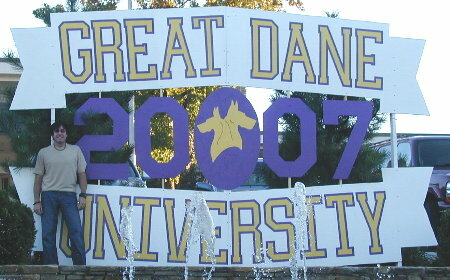 No one is entitled to Great Danes, we all learn by doing & paying it forward is how you measure success. Stay in touch with us by using the "Contact" form located in the top navigation menu on any page. We love talking Danes and appreciate your company. Thanks for stopping by and learning a bit about me, our team, website mission and the history behind your #1 source of practical, first hand Great Dane information!